Shire posted revenue growth of 5 per cent for the fourth quarter of 2012 despite facing full generic competition for its attention deficit-hyperactivity disorder (ADHD) drug Adderall XR (amphetamine and dextroamphetamine). Authorised generics of Adderall XR sold by Teva and Impax, for which Shire receives a percentage of sales, have been available since 2009, but in June 2012, Actavis launched its own version of the drug and providing Shire's brand with direct competition. As a result, sales of Adderall XR during the fourth quarter of 2012 fell by 35 per cent to $82m, but the company's total product sales remained robust, climbing 5 per cent to $1.1bn. This was mainly due to strong performances from Shire's biggest selling product, the ADHD treatment Vyvanse (lisdexamfetamine dimesylate), which recorded an increase in revenues of 18 per cent to $257m, as well as Intuniv (guanfacine) - another ADHD drug - and treatment for hereditary angioedema Firazyr (icatibant). Intunib sales were up by 24 per cent to $81m, helped by the approval of a new indication for use in adjunctive therapy to stimulants in children and adolescents aged six to 17, while the US launch of Firazyr helped sales increase by 32 per cent to $35m. 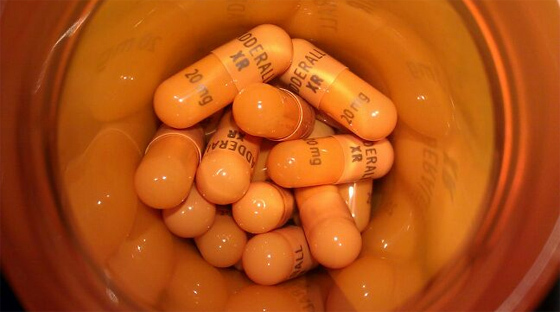 Adderall XR sales are expected to continue to fall, however, with Impax due to launch its own generic version, pending FDA approval. Shire also faces a $48m payout to Impax to settle legal claims about its supply of generic Adderall XR. Despite this, the company's CEO Angus Russell was positive about the year ahead, which will see Dr Flemming Ørnskov assume the CEO role at the end of April when Russell retires. “Shire is in great shape, with the current business performing well, a promising pipeline of new growth opportunities, and the strategy in place to deliver an exciting future,” said Russell. Russell highlighted developments, such as potential new indications for Vyvanse, including major depressive disorder, binge eating disorder and negative symptoms of schizophrenia, as promising R&D prospects. In addition, recent acquisitions, like the purchase of US biotech FerroKin BioSciences, are also expected to help the company achieve further growth.